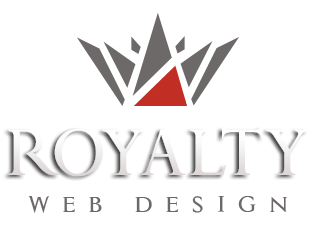 Royalty offers professional web design in Germany, Austria, England, Spain, France, Italy and Romania, and offers website creation, development of dynamic web pages, complex web development, graphic design and execution of management and accounting programs. What is website optimisation ? The site administration is the ability to modify the information contained in various sections of the website by the client or by a person designated for that. This information relates to banner images, news, special offers, products, categories, information on the pages, menus, contacts, site colors, images, photo gallery, events, tickets, prices, customers, orders etc..
Who can administrate my website? The administration of a website has a user friendly interface, intuitive and easy to use. Therefore site management can be performed by any person who has basic knowledge of computer use. Management module pages contain tips and helpful information so it can be used quick and efficient. How can I get management tips and consulting for website administration? Our web design company is available free of charge for consulting regarding site management. How is the price of a site influenced by the achievement of the administration module? A site that will benefit from the administration module has a higher cost than a static site, but the advantage is that the price difference can be recovered in a very short time, saving money that must be payed to a a web design firm specialized maintenance. Our company applications do not use templates or open source solutions. We implement each project from scratch molded to the needs and requirements of our clients. - A static presentation site, in which case information on site management will be done by our specialists for an extra cost. - A dynamic site, in which case the site is content-management-system and the purchaser can edit the information contained in the site. The type of information that may be changed by the management module is set by contract. Depending on php modules that allow editing information will determine the project price. Customers who have opted for content-management-system applications but want a maintenance contract with our company will benefit from a special price. Royalty, offers maintenance services only for sites created by our specialists. We also offer great web hosting services to clients with whom we collaborate on the web design.